Who else is excited to hear new music from We Are The In Crowd?! 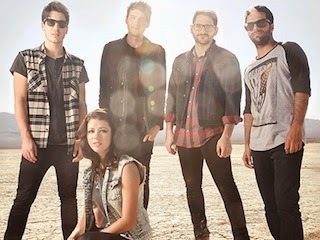 Vocalist Tay Jardine has revealed that the pop/rock quintet will release a brand new song titled "Long Live The Kids" this coming Monday (January 20th)! A message from Tay confirming the news can be found below. The track is taken from We Are The In Crowd's upcoming new album Weird Kids, that is scheduled to be released on February 18th via Hopeless Records. Dates and ticket information for the band's first US headlining tour with William Beckett, Set It Off, and Candy Hearts can be found here. We are releasing a new song called Long Live The Kids on Monday. It's the first song on the record!